As I eat fish on Fridays and try to avoid meat on that day I have to admit that my favorite fish is still salmon. I try different options of serving this fish but best way it is grilled. I marinade salmon in lemon with salt and pepper and mustard seeds for few hours and then throw onto a hot grill for few minutes. It gets crispy on the outside, soft and juicy inside. And it must be served right away. Today, I prepared it with string beans and hulled barley mixed together. 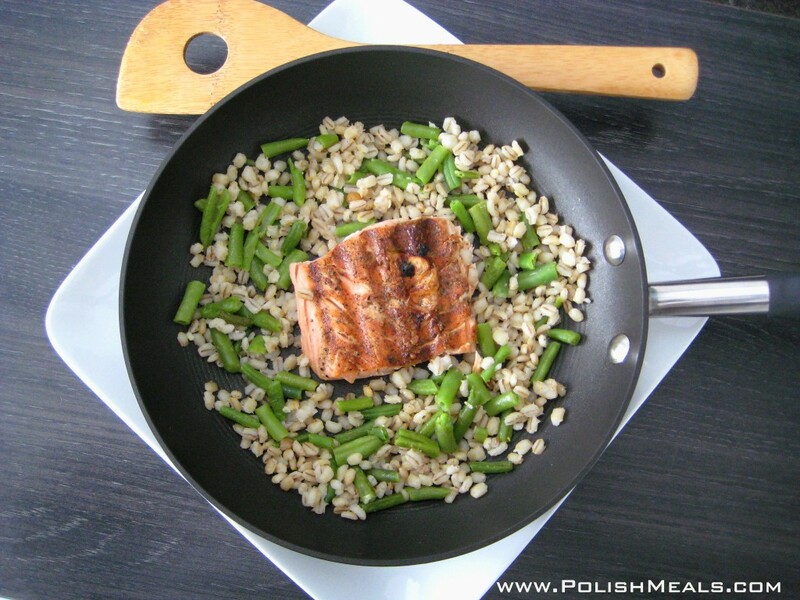 Overall I love barley and try to find ways to eat it – I got to tell you it goes with salmon perfectly. 2. Cook hulled barley according to directions on the package. Rinse under luke warm water until water runs clear. Cook 3 cups of salted water for 1 cup of barley. Add barely to boiling water, and simmer until the water is absorbed. It should be firm but not chewy. Fluff barley. 3. Cook or steam string beans. 4. Few cloves of garlic throw into a pan with melted butter and caramelize. Add String beans and hulled barley. Leave on the stove for few minutes. 5. In the meantime heat up your grill and do your salmon for few minutes. Posted in: Meal Ideas. 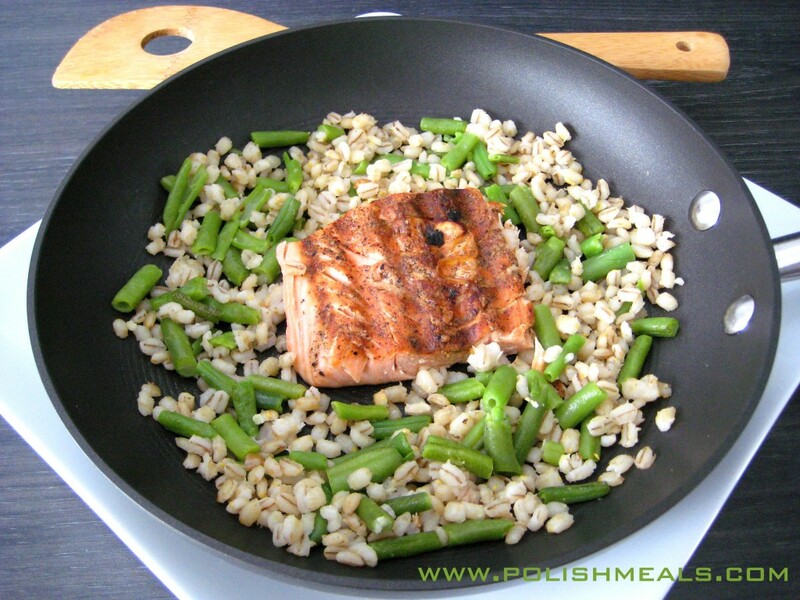 Tags: butter, garlic, hulled barley, lemon, lemon juice, pepper, salmon, salt, string beans.